Just before Christmas I was out Christmas shopping with the family, and my sister purchased this for someone she knew who was a hairdresser and she paid £7.99 for this from Superdrug's, as everyone knows when it comes to a hairdresser you need to buy them good branded haircare stuff. I myself liked this just for the bag but I didn't purchase it that day aswell, instead I waited until a few days after Christmas. Whilst having a look round Superdrug's just to see what good deals they had on, I spotted this in the sale for just £2.99! and I thought "that's a bargain". So i picked it up knowing this time I was gonna purchase it for myself haha. Once I got to the till they told me I had £2.00 worth of points on my Superdrug's card that could be used towards it if I wanted to, So after using my points all I needed to pay was 99p! Yes that's 99p for something that was originally £7.99. 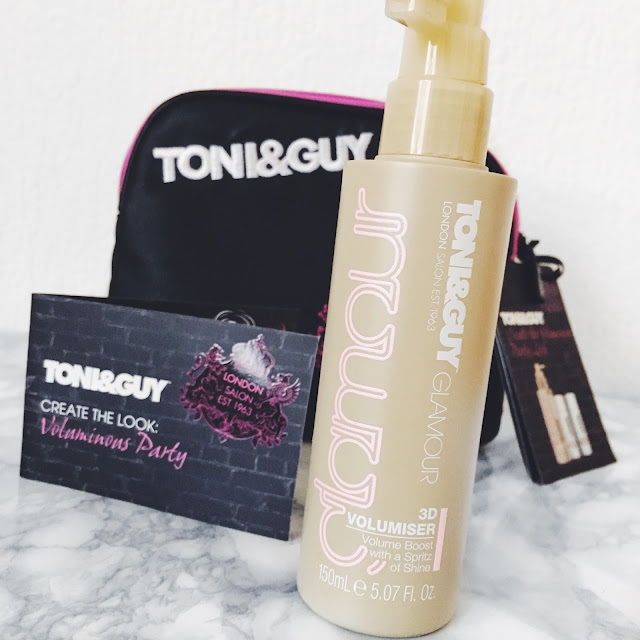 Inside the bag it came with a mini shampoo and conditioner for damaged hair and it also came with a 3D volumiser spray and I think this may be a full size one, I'm not too sure as I've never tried any Toni & Guy products before. You also got a "Create The Look - Voluminous Party" card to show you how to recreate one of their hairstyles, aswell as getting the gorgeous make-up bag that it all came in. 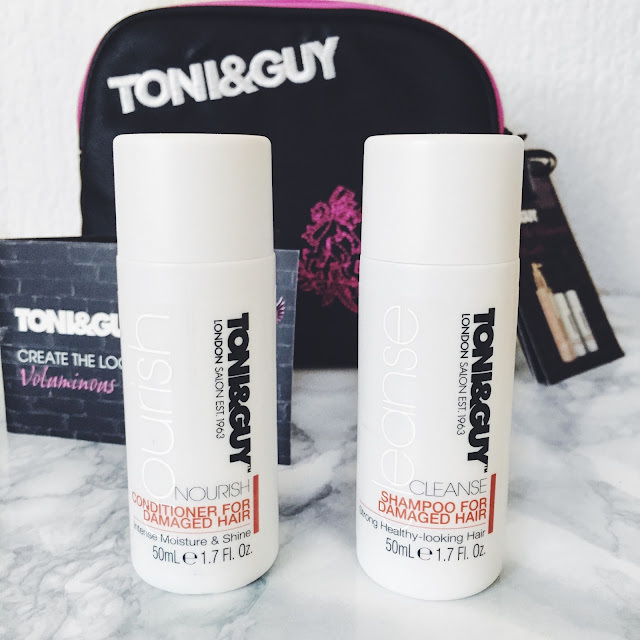 I've already tried the shampoo and conditioner and I love it in the sense that it makes your hair really soft, but after a few times of using it I had a reaction to it and it brought me up in a rash around the hairline and behind my ear. So unfortunately I've had to stop using the shampoo and conditioner. 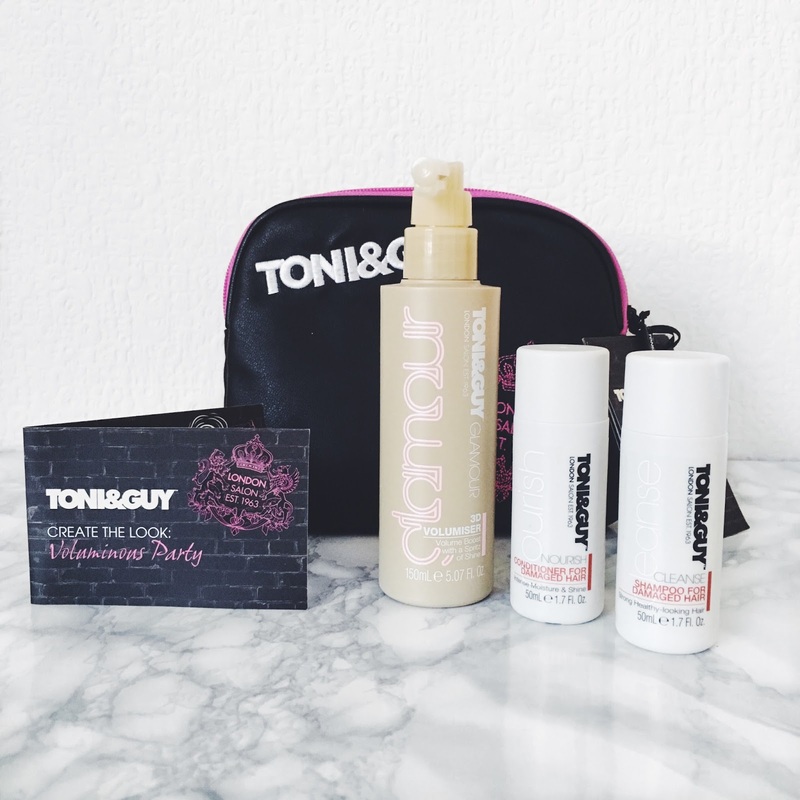 I haven't yet tried the 3D Volumiser spray as haven't really tried out any hairstyles that need volume added to them, although I had a reaction to the other 2 products I will still give the spray a try at some point. Overall I think this is a gorgeous little gift set for someone who is either a hairdresser or likes to take care of there hair (which is something we all do haha). It's a bonus that it comes with a little bag aswell as I will get a lot of use out of this.